Katharine Graham (Meryl Streep), the first female publisher of a major American newspaper, has a tough decision to make when her newspaper, The Washington Post, accesses the infamous Pentagon Papers - documents that expose a massive cover-up of US government secrets, spanning three decades and four Presidents. In a race to catch up with The New York Times, Graham has to overcome her differences with Washington Post editor, Ben Bradlee (Tom Hanks), as the two risk their careers - and their freedom - to help bring long-buried truths to light. 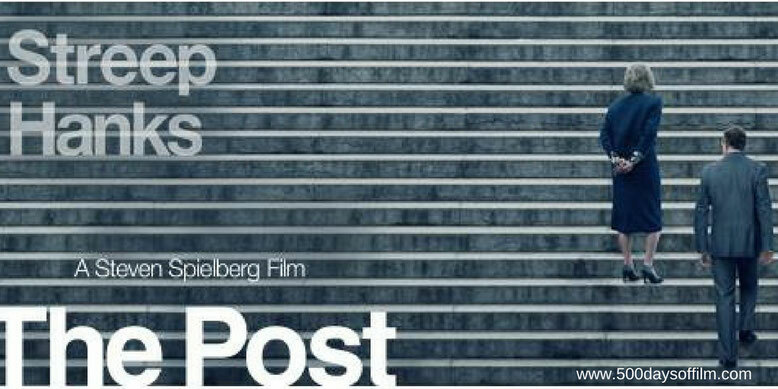 Driven by two powerful central performances and featuring a superb ensemble cast, The Post tells a gripping and inspiring true story. Steven Spielberg’s film is both a celebration of female empowerment and also a rallying cry - reminding us of the vital importance of a free press. As a result, while based on events that took place in 1971, The Post could not feel more relevant today. Spielberg was in no position to direct The Post when he first read Liz Hannah’s script. Not only was he in the middle of post-production for Ready Player One, he was starting work on another project - a film about the kidnapping of a six-year old boy in Italy. However, by page 31 of Hannah’s script, Spielberg knew that he had to make this film - and make it urgently. In an interview with Wonder Woman director Patty Jenkins (see episode 124 of The Director’s Cut podcast) he explains that he “doesn’t do anything based on the spontaneous combustion of excitement” but that, after the election of Donald Trump, he felt “a social imperative” to tell this story. That social imperative shines throughout The Post - a movie that took only eleven months to arrive at UK cinemas thanks to the hard work and co-operation of its cast (Spielberg has called it one of his favourite ensemble casts) and crew. The Post follows Meryl Streep's Katharine Graham as she struggles in a dismissive, male-dominated world and tries to honour her country’s First Amendment - all without destroying her beloved Washington Post in the process. Her situation feels even more impressive when you realise just how unprepared she was for this life. Graham had never considered a profession. Her father had passed the publishing role to her husband, Phil Graham, and she only inherited the position after Phil’s death. Streep conveys Graham’s uncertainty and lack of confidence perfectly. As a result, we understand just how brave she was when she made her decision. It was by no means an easy choice. Watching Streep and Hanks together on screen (for the first time) is a joy. Both give commanding performances (those that knew Ben Bradlee have praised Hanks’s depiction of the legendary newspaper man) and both are supported by an impressive ensemble cast. The Post features many recognisable actors (including Sarah Paulson, Bob Odenkirk, Bruce Greenwood and Alison Brie) in roles that offer precious little screen time. However, everyone wanted to be part of Spielberg’s movie no matter the role - demonstrating just what The Post's themes mean to each and every member of the cast and crew. 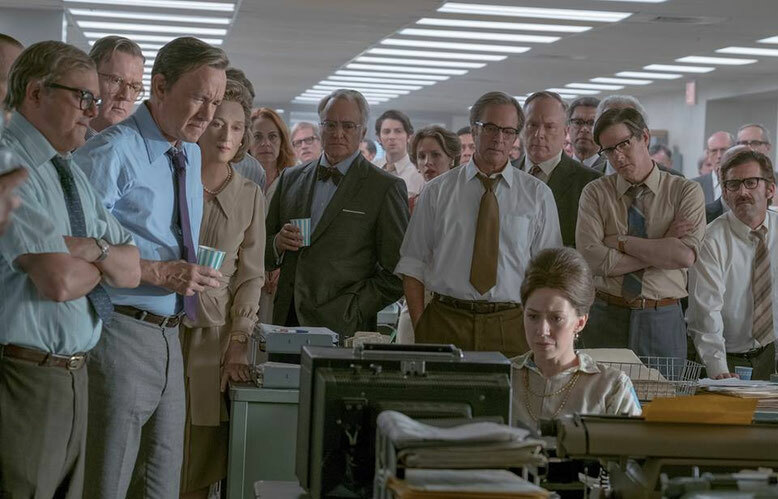 Alongside The Post’s compelling story and superb performances, Spielberg’s film is also a love letter to newspaper journalism and publishing. I love how he conveys the excitement of the (now rather vintage) newsroom - days where information was scribbled in notebooks, stories formed on typewriters. In addition, the scenes showing the newspaper production process are fantastic. As we watch the newspaper being created, we are reminded of skills that have now been lost in our digital age. Perhaps these nostalgic sequences appeal to the journalist in me - but I thought they were wonderful. It may have been a challenge to make, but the finished product was certainly worth the effort. The Post is a powerful film that gripped me from start to finish - even though I knew how the story ended. I left my screening of The Post feeling grateful for strong women like Katharine Graham who paved the way for countless other women in the publishing industry (including me). I also felt inspired by the courage and conviction of the journalists of that time. In a world where the freedom of the press is under sustained attack and concepts such as “alternative facts” are mooted, The Post is a timely reminder of just what is at stake and, no matter the odds, what can be accomplished if we stand together against oppression. The Post ends almost at the point where Alan J. Pakula’s 1976 film, All The President’s Men, begins. Indeed, the two movies would make a great double bill. However, much as I love Pakula’s movie, having watched The Post, I will miss the presence of Katharine Graham in the story. In his interview with Patty Jenkins, Steven Spielberg explains that The Post and Wonder Woman share a common theme - that of the empowerment of women. Some have criticised the scene in The Post showing Graham walking down some steps through a crowd of women - almost like she is being lifted up by them. I did not have a problem with this moment. Spielberg’s message may not be subtle - but it is nonetheless powerful.